Why should you see a massage therapist Chicago, IL residents trust? If you are like many people, you may think that getting a professional massage is just a way to pamper yourself. That’s why you may only think to schedule a massage for your birthday or another special occasion. While it’s true that massages do feel great, they provide many health benefits as well. You may be yearning for a massage and not even realize it. While massages are currently rising in popularity because of couples massages, prenatal massages, and even baby massages, there are many benefits to seeing your massage therapist regularly. However, there are also many myths and stigmas surrounding massages that lead people to avoid getting one even if it could be highly beneficial to them. Below, you will find more information on how massage therapy can be an extremely helpful part of your health and wellness, common signs that your body needs a massage, and five myths commonly associated with getting a massage. Not being able to fall or stay asleep isn’t a very good feeling. You stare at the ceiling for hours and then wake up all tired and cranky. If you’ve been having sleep problems lately, you may want to consider seeing a massage therapist serving Chicago, IL. A massage can alleviate tension in your muscles and alter your hormone levels, making it easier to get a restful night’s sleep. Whether the chronic pain is in your neck or back, it can make your live a lot more difficult. Some days you may not even want to get out of bed. While there are pain medications out there, they have side effects and can be addictive. 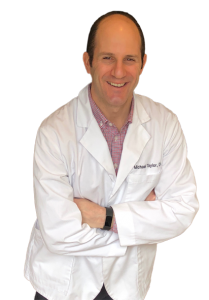 A Chicago, IL massage therapist on the hand, can address the source of your pain and help you feel better in a more natural way. While dealing with a little bit of stress every once in a while is normal, too much of it can take over your life. Whether your stress is due to a busy work schedule or problems at home, massage therapy may help alleviate it. A massage therapist for Chicago, IL knows just what pressure points in your body to target and can alleviate a lot your tension. Exercising helps you maintain a healthy weight, build new muscle, improve your heart health, and boost your mood. While the benefits of exercise are great, working out all the time can stress out your muscles, especially if you’re working out with weights. If you get regular massages, it can help improve your range of motion and reduce soreness, which can help you feel better and avoid injury. A headache here or there usually isn’t anything to get concerned about. However, if you seem to be getting them all the time, they can affect your job and other important things in your life. Many chronic headaches are the result of tension in the back, neck or head. A massage therapist Chicago residents trust can help you find relief from your headaches so that you can live a normal life again. As you can see, there are so many benefits you can gain from getting a professional massage. Below, you will find five common myths associated with getting massages and why these aren’t true! Myth #1. The Benefits of a Massage Are Temporary. Unfortunately, many people believe getting a massage can be a waste of money because it usually only makes them feel better and more relaxed during the session or the day of the session. However, a good massage therapist can actually help to retrain your muscles so that there is a long-term reduction in pain and there is less stress on your body. This can happen after just one session. Myth #2. Every Massage is the Same. This could not be more wrong! A Chicago, IL massage therapist from Taylor Rehabilitation and Wellness Center is trained in many different types of massages and each type of massage is uniquely designed to combat certain ailments. For examples, many massages you might get at your local spa are designed to help reduce stress and promote a relaxing environment. On the other hand, massages used in physical therapy can help patients with their injuries and help heal them so they are more mobile and flexible. Myth #3. If You Aren’t Sore the Next Day, it Was Not a Good Massage. While it’s true that many people feel sore the next day, this will vary from person to person and massage to massage. If a person has particularly sensitive skin, they may feel it more the next day. Similarly, if someone had a deep tissue massage they may also feel soreness the next day. However, a lack of soreness is not indicative that your massage therapist failed to perform their job correctly. Myth #4. It’s Good If the Massage Causes Pain. This is certainly not true! Your body is releasing pain signals for a reason, and even if you are getting a deep tissue massage you should not be experiencing pain. While there is such a thing as a “good hurt” while getting a massage, if you experience any type of unbearable pain, you should notify your massage therapist immediately, not endure it. Myth #5. Massages Will Rid Your Body of Cellulite. Unfortunately, those stubborn lumps and bumps are not something that a massage can get rid of. While massages increase blood flow and can make the skin appear plumper—thus temporarily making cellulite appear to improve—a massage cannot get rid of cellulite. This is likely the cause of your genes and you can improve it through workouts. A: According to the Federation of State Massage Therapy Boards, nearly 300,000 people in the United States study massage therapy and work as massage therapists. State agencies regulate and license massage therapists to ensure professionalism, privacy, and safety. Many states require therapists to take the Massage and Bodywork Licensing Examination. Determine your state’s licensing requirements and be sure to check that your massage therapist maintains the proper licenses. This will help ensure a quality massage therapy session. A: It is not uncommon for some insurers to cover alternative therapies like massage, chiropractic care, and acupuncture. However, you may face higher out-of-pocket expenses than you would seeing a general practitioner. Before making your first appointment, it’s a good idea to check with both your insurer and your therapist to make sure you’re covered. Sometimes, you’ll need a prescription or a referral from your physician for the sessions to be covered. Q: What Kind of Training Does a Massage Therapist Have? A: A licensed massage therapist typically get 600-700 hours of training in all different areas of massage therapy. Additionally, almost all massage therapists take continuing education classes, averaging 20 hours per year – in some states, this is a licensing requirement. Ask your practitioner about their educational experiences, practical training, and ongoing professional development. A: Open communication is a valuable tool in getting the most out of your massage therapy session. Before your massage, let your therapist know which parts of your body you want them to avoid or focus on. For example, many clients aren’t comfortable with having their abdominal area massaged. Your massage therapist will know how to avoid any sensitive areas you identify and still give you a therapeutic experience. 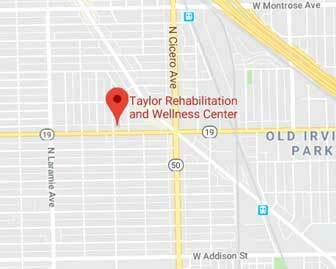 Speak With a Chicago, Illinois Massage Therapist From Taylor Rehabilitation and Wellness Center Today! Clearly, there are many things that people do not understand about massage therapy, but when you are armed with more information, you can feel comfortable seeking help from a Chicago, IL massage therapist at our center. At Taylor Rehabilitation and Wellness Center, our massage therapists are dedicated to helping their clients feel more relaxed and tackling any ailments they are dealing with. They will take the time to listen to your needs before the session. Contact us today to schedule an appointment with a committed massage therapist in Chicago, IL today!